Macropinna has a see-through head and tubular eyes. It can also outsmart a robot. 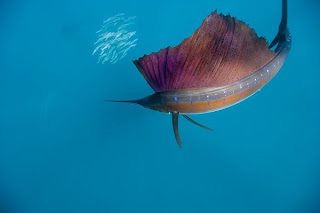 National Geographic has a great photo spread on how Sailfish lasso their prey. It's super organized teamwork, real life Nemo. Well worth the look.